The CRU Alumina Price Index (CRU-API) will be used in the settlement of the London Metal Exchange's new cash-settled Alumina futures contract, due to launch on 11 March 2019. As the physical market's leading, transaction-only price benchmark, the CRU-API is used widely in the settlement of physical contracts and accurately reflects true market fundamentals, incorporating verified physical trades from across the supply chain. 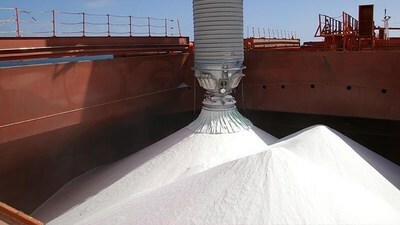 As such, its use in the settlement of the LME Alumina futures contract is another natural application for the CRU-API. "CRU's reputation for integrity, reliability, independence and authority applies equally to its leading price assessments and market analysis, and not least the Alumina market and the CRU-API. We are therefore delighted to work with the LME on this new contract at a time when unpresented market volatility has highlighted the need for additional risk management tools." CRU Head of Prices Development Chris Houlden said. "We are delighted to announce CRU as one of the index providers for our new cash-settled futures contracts, which is the next step in delivering our new products strategy and an important part of our commitment to deliver greater user choice. The introduction of new contracts is a strategically important growth driver for the LME. We believe that these new cash-settled contracts will complement our existing product offering and the simpler settlement mechanism will help lower barriers to market entry. This will attract new players to the market who can benefit from using LME hedging to better manage their price risk in the physical metals market" – Robin Martin, Head of Market Development, LME Group. CRU is an independent, privately owned, price, analysis, consulting and events business specializing in the mining, metals and fertilizer sectors. Founded in the late 1960s and headquartered in London, it has over 280 employees worldwide and has analysts and price assessors in London, Pittsburgh, Santiago, Delhi, Mumbai, Shanghai, Beijing and Sydney. The company delivers independent market analysis and price assessment across a comprehensive range of global commodities – its reputation with customers across mining, metals and fertilizers is for integrity, reliability, independence and authority.